This is guide, howto install nVidia CUDA Toolkit 9.2 (with Patch 1) on Fedora 28/27. I assume here that you have installed nVidia drivers successfully using my earlier Fedora nVidia Drivers Install Guide. You will need nVidia 384.00 or later version. This is initial version of this guide and as always remember backup important files before doing anything! Download NVIDIA CUDA Toolkit 9.2 and Patch 1 runfile (local) from official CUDA Toolkit download page. Only Fedora 27 version available, but works on Fedora 28 too. Files are currently cuda_9.2.148_396.37_linux.run and cuda_9.2.148.1_linux.run and when you use browser files are normally downloaded /home/<username>/Downloads/cuda_9.2.xxx_linux.run location. 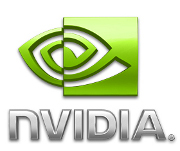 (y)es/(n)o [ default is no ]: y Install NVIDIA Accelerated Graphics Driver for Linux-x86_64 396.37? (y)es/(n)o/(q)uit: n Install the CUDA 9.2 Toolkit? (y)es/(n)o/(q)uit: y Enter Toolkit Location [ default is /usr/local/cuda-9.2 ]: Do you want to install a symbolic link at /usr/local/cuda? (y)es/(n)o/(q)uit: y Install the CUDA 9.2 Samples? Samples: Installed in /root Please make sure that - PATH includes /usr/local/cuda-9.2/bin - LD_LIBRARY_PATH includes /usr/local/cuda-9.2/lib64, or, add /usr/local/cuda-9.2/lib64 to /etc/ld.so.conf and run ldconfig as root To uninstall the CUDA Toolkit, run the uninstall script in /usr/local/cuda-9.2/bin Please see CUDA_Installation_Guide_Linux.pdf in /usr/local/cuda-9.2/doc/pdf for detailed information on setting up CUDA. ***WARNING: Incomplete installation! This installation did not install the CUDA Driver. A driver of version at least 384.00 is required for CUDA 9.2 functionality to work. Welcome to the CUDA Patcher. accept/decline/quit: accept Enter CUDA Toolkit installation directory [ default is /usr/local/cuda-9.2 ]: Installation complete!